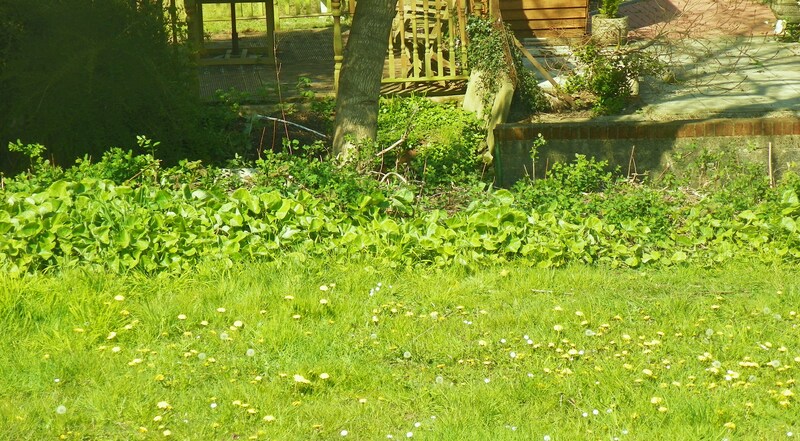 So … we’ve had the floods, and now we have the sunshine – and everywhere is so GREEN! Gorgeous Green. I just want to drink it in, to let it flood my system with its revitalising powers. It sings to me in pure notes, serenading me with powerful promises of hope and new beginnings. A bright green field makes me want to run towards it, arms outstretched in full Maria von Trapp mode; a verdant hill, to roll down it intoning, ‘as … you … wish …‘ in full Princess Bride mode. Green is springy freshness, the singing wind, the intoxicating scent of freshly mown grass, the promise of fertility and the reaffirmation of survival – the well-deserved exhalation of nature. Green heralds: All is well with Mother Earth – she is in balance and in harmony and ready to boogie. Imagine, though, if everything we see as green was red. How exhausting would that be? 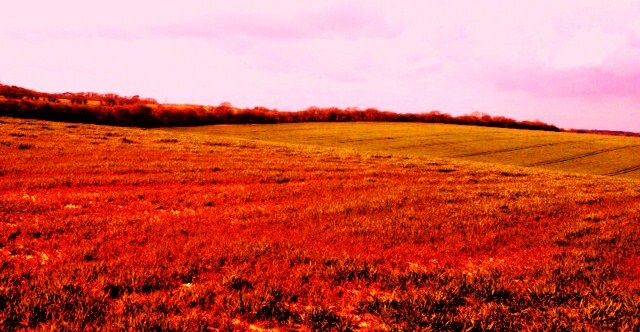 Scarlet lawns, crimson fields, fire-engine-red forests. A landscape composed of a radiance of reds might be an enthralling one, but it would be a far from restful one. Nature has it all worked out. Green is the colour that causes least disturbance to the eye. Every other colour triggers the eye to adjust its focus behind or in front of the retina to receive the particular wavelength. To receive green the eye does not have to do anything. Red is the colour that requires the greatest adjustment by the eye. Red shocks us into a reaction. Hence STOP is always red and GO is always green. Surrounded by red we would be on constant alert. Green, in causing no stress to the eye, has a similar effect on the brain. In the entertainment industry you wait in the ‘Green Room‘ before performing, and in the past medical waiting rooms were coloured green – all intended to calm. Green is Mother Nature’s blank canvas. It paints a backdrop of relaxation against which she can astonish us with her palette: the candy pink of cherry blossoms, the regal purple of the iris, the trumpeting yellow of the daffodil, the innocent white of the snowdrop and, of course, the poignant red of the noble poppy. We need the green, oh my, how we need the green. Beautifully written Francesca. 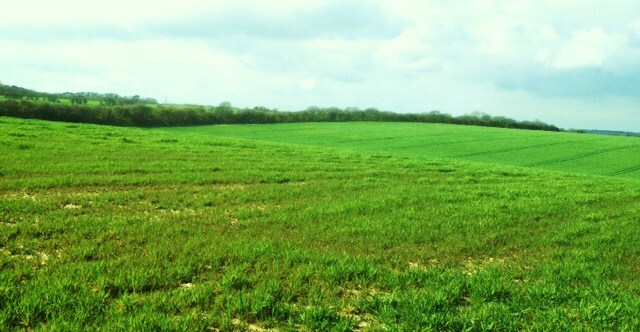 Green, as in the countryside, makes you happy – it’s official. What a delicious post. I’ve always fancied a green bedroom and now I know why. And it’s one of the reasons I like Switzerland for the astonishing greenness of its fields. I suppose the same might be said of the Emerald Isle. Thank you, Tracy. Love the link, Telegraph aside. I think it must be the green!! ‘Delicious’ – what a fabulous choice of adjective. Thank you. I don’t know about a green bedroom. If I visualise one, it seems somehow ungrounded – how counterintuitive is that!! I did a dissertation on Red at university. It’s symbolism is legend and as you say the psychological effect explains its use. How fascinating, Caroline! What was the degree? You’re right about the symbolism – it’s difficult to think of a culture that has not used red in some symbolic form. Thank you for the comment.